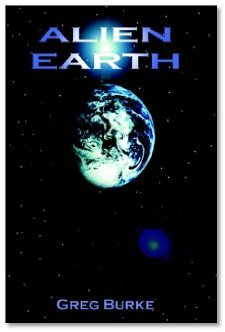 Greg Burke is the author of Alien Earth, a near-future novel about... aliens and the earth! (Go figure.) In a nutshell, everything you've heard about aliens is true. Now how do we react as a species? Gotta read it to find out! Greg also writes technical manuals for... beer? Now come on. We've drank enough beer to know that it's not that technical. But it does make for a funny story! Arthur C. Clarke - Blasts us for lack of space exploration. What do you think? It's been 25 since we've been to the moon. Should we push forward in our attempts to colonize other planets? Michael and Evo take two different views. There's a great book called Earth Seed by Pamela Sargent that addresses this from a fiction point of view. Limited availability. Bed music by half gain "Ivory Tower (acoustic)"
Lord of the Rings - Extended version out on Nov 12 - Order now! Are your plants corporate spies? Michael is a huge Sinbad fan. (No, not that Sinbad!) New animated feature coming out. The Core got bumped while the add more special effects.